A wetland is a flooded area of land with a distinct ecosystem based on hydrology, hydric soils, and vegetation adapted for life in water-saturated soils. Wetlands are heavily protected by federal, state, and local policies due to their environmental benefits and the historical filling and dredging that removed more than 50 percent of them across the country. Wetland types vary based on their location. Mangroves are found along the shores of salty waterbodies while peat bogs are found in cool climates, where slow decomposition facilitates the accumulation of peat over long periods of time. 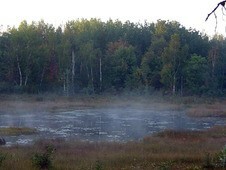 Common wetlands in Minnesota include wet meadows, shallow and deep marshes, scrub-shrub wetlands, and bogs. To be considered a wetland, the site must have the presence of water, soils indicative of frequent and prolonged flooding, and vegetation suited to handle flooding or saturated soils. Determination of wetland boundaries must be done by a certified wetland delineator based on the Army Corps of Engineers Wetland Delineation Manual and appropriate regional supplements. Delineations are subdivided into levels. Level one means onsite inspection is unnecessary; level two means onsite inspection is necessary; and level three, which is a combination of levels one and two. Identifying hydrology, or presence of water, can be as simple as noticing the sustained presence of water in boreholes or manually measuring surface water, or as difficult as requiring the use of continued monitoring wells and piezometers. Areas with a surface water depth of more than 6.6 feet are considered deepwater aquatic habitats and not wetlands. Soils that are saturated for a long period of time display common visual patterns identifiable in a soil profile. 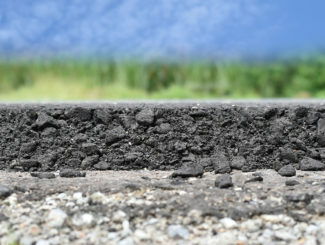 Soils developed in anaerobic conditions show unique colors and physical characteristics that are indicative of hydric soils. When water continuously saturates the ground, organic soils are likely to occur. Organic soils are referred to as peats or mucks and require more than 50 percent of the upper 32 inches of soil to be composed of organic material. Hydric mineral soils form under a range of saturated conditions, from permanently saturated to seasonally saturated. Indicators for hydric soils can be found in the Field Indicators of Hydric Soils in the United States guide, published by the USDA. Wetland vegetation is classified by its ability to survive in saturated soil conditions. These classifications range from OBL (obligate wetland plants that usually occur in wetlands), to FAC (facultative plants that occur in wetlands and non-wetlands equally), to UPL (obligate upland plants that are rarely found in wetlands). When OBL, FACW, and FAC species make up the vegetative species at a site, then the site is considered to have hydrophytic vegetation. 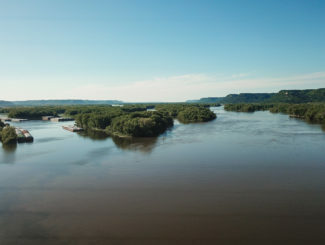 Two main systems are used to classify wetlands in Minnesota – the Circular 39 and the Cowardin systems. Both systems are commonly used when writing permit applications or describing or writing about wetlands. A noteworthy exception is the case of the National Wetlands Inventory, for which the U.S. Fish and Wildlife Service exclusively used the Cowardin system. The Circular 39 system was developed by the U.S. Fish and Wildlife Service in 1956, and divides wetlands into eight different types based on water depth and variety of vegetation. Type 1: Seasonally Flooded Basin/Floodplain Forest: Soils are flooded during variable seasonal periods. Often found in upland depressions, these wetlands are well-drained during the rest of the year. Vegetation can be quite variable. Type 2: Wet Meadow, Fresh Wet Meadow, Wet to Wet-Mesic Prairie, Sedge Meadow, and Calcareous Fen: Soils in these wetlands are usually without standing water, but saturated close to the surface. Vegetation includes sedges, grasses, rushes, and broad-leaved plants. These wetlands are notes for their wildlife habitat capabilities. Type 3: Shallow Marsh: Shallow marshes are covered with more than six inches of water throughout the year. Typical vegetation includes grasses, cattails and bulrushes. Type 4 – Deep Marsh: Similar to shallow marshes, deep marshes are covered in water from six inches to three feet deep. Cattails, reeds and lilypads are common. Type 5: Shallow Open Water: Water is present, but less than six feet deep and fringed with emergent vegetation. This type of wetland is often used for fishing, canoeing and hunting. Type 6: Shrub Swamp; Shrub Carr, Alder Thicket: Soils are heavily saturated and may be covered in up to six inches of water. Dogwoods, willows and alders are all common species. Type 7: Wooded Swamps; Hardwood Swamp, Coniferous Swamp: Typical trees in wooded swamps include tamaracks, white cedar, arborvitae, black spruce, balsam, red maple, and black ash. The prevalence of trees helps control water flow during flood events. Soils are saturated up to a few inches of the surface and may be covered by up to a foot of water. Type 8: Bogs; Coniferous Bogs, Open Bogs: Organic soils are prevalent in bogs, with continually waterlogged soils and a spongy covering of mosses. Shrubs, tamaracks, mosses, and black spruce are all common species. The Cowardin system was developed in 1979 for the U.S. Fish and Wildlife Service to classify wetlands and deepwater habitats. This system was used in the National Wetlands Inventory to identify wetlands. Two major wetland types, coastal and inland, are identified. All Minnesota wetlands are defined as inland (palustrine), which is then subdivided based on vegetation classes and bed material.